The Game Boy represented a bizarre transitional period for recurring video game franchises. It was as though after making a series of acclaimed games for the NES, after creating a series of games from scratch they then had to apply this new ruleset to deal with the Game Boy's hardware limitation. This was especially true with Mega Man, where the six NES games all followed the same pattern of game play but with the level design and the bosses changed (looking back on it it seems rather lazy). This meant that Capcom had to try and port their beloved series to the Game Boy with only one question on every one's minds. Would it work? The game is a remake of the original with a couple of liberties taken. For one thing the original Mega Man was the only game in the NES series with six bosses, while the rest had eight. This version is even more thinned out because of the limitations with only four bosses: Elec Man, Cut Man, Fire Man and Ice Man. As you'd expect from a Mega Man game it's fairly difficult with the same memorisation based platforming that would later inspire its spiritual successors such as Super Meat Boy. The game's graphics are almost identical to that of the NES original, slightly redrawn to better fit the hardware (mostly for the better). The music of the game is, once again, almost identical to that of the NES original. The biggest difference between this game and its predecessor is the level design. As a whole, holistically and in regards to the individual levels the game is shorter but it makes up for this in the difficulty. The "choose your first level" mechanic of the original games made sure that there wasn't really any difficulty curve until the inevitable encounter with Dr. Wily. Capcom must have realised that because all the levels would have to be like this, and that there was so few them then the only thing that could be done to give the game any sense of longevity was to make it more difficult. 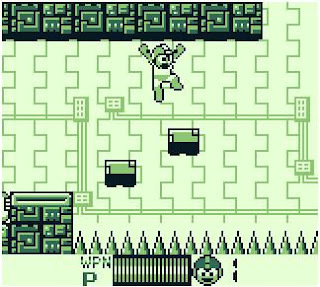 This is reflected in the enemy placement more than any other area, where it takes the Mega Man tradition of placing an enemy over a jump where you hit him and fall to your peril and rings it out for all it's worth. 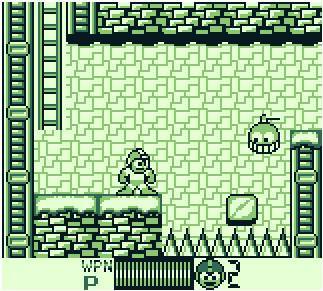 There isn't really much to say about Mega Man for the Game Boy mostly because of how short it is. It has some interesting stage designs and the bosses are classic Mega Man so it has that going for it. 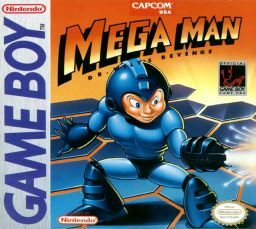 Mega Man for the Game Boy was Capcom attempting to bring over their biggest franchise to the Game Boy and for what we got, it could have been a lot worse. It could have been Mega Man II.